My name is Kampeska Cinkila Win, Lakota for “Little Shell Woman.” My English name is Nicole Montclair-Donaghy. I’m an enrolled member of Standing Rock Sioux Tribe. I’ve long debated whether or not to share this piece. I believe that our stories should be shared, as they are a part of all of our histories as humans. 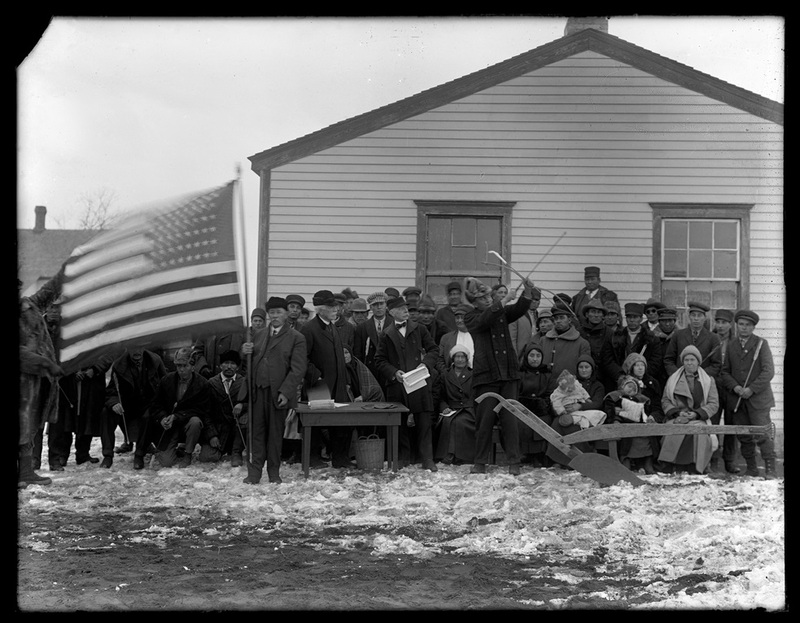 In 1924, my people were given the right to become American citizens after being on these lands for centuries. A few years prior to that, the US Department of the Interior’s “Ritual on Admission of Indians to Full American Citizenship” was performed when any Indian wanted to denounce their traditional ways and live the life of the farmer. This is an important time in history, as it was not so long ago—within my grandmother’s lifetime. History books do not tell the correct story of Native American peoples, as they incorrectly portray our people as conquered and defeated. On the contrary, we have learned to become what the plan for us has always been: colonized, assimilated, and everything other than who we have always been. My poem, “The New Assimilated American,” touches on the historical ritual that was used to relinquish our identity as a people. To become the farmer, where men harvest the earth, and where women become the foundation of the home. Ironically, we were already all of those things. It also speaks to the beginning of the boarding school era, in which many Native children were taken from their homes and forced to assimilate to western ways. Although there are many people who consider immigrants the “new” Americans, we as Native people were new citizens in our own land, just sadly forgotten. _________________ (Indian name). You have shot your last arrow. That means that you are no longer to live the life of an Indian. You are from this day forward to live the life of the white man. But you may keep that arrow, it will be to you a symbol of your noble race and of the pride you feel that you come from the first of all Americans. _________________ (white name). Take in your hand this plow. (He takes the handles of the plow.) This act means that you have chosen to live the life of the white man—and the white man lives by work. From the earth we all must get our living and the earth will not yield unless man pours upon it the sweat of his brow. Only by work do we gain a right to the land on to the enjoyment of life. _________________ (white name). I give you a purse. This purse will always say to you that the money you gain from your labor must be wisely kept. The wise man saves his money so that when the sun does not smile and the grass does not grow, he will not starve. And now beneath this flag I place upon your breast the emblem of your citizenship. Wear this badge of honor always; and may the eagle that is on it never see you do aught of which the flag will not be proud. This means that you have chosen the life of the white woman—and the white woman loves her home. The family and the home are the foundation of our civilization. Upon the character and industry of the mother and homemaker largely depends the future of our Nation. The purse will always say to you that the money you gain from your labor must be wisely kept. The wise woman saves her money, so that when the sun does not smile and the grass does not grow, she and her children will not starve. And now beneath this flag I place upon your breast the emblem of your citizenship. Wear this badge of honor always, and may the eagle that is on it never see you do aught of which the flag will not be proud. Nicole Montclair-Donaghy (Kampeska Cinkila Win’) is a Lakota from the Standing Rock Reservation. 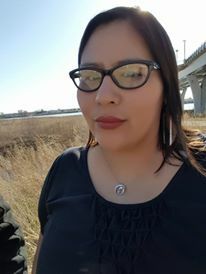 She began organizing during her college career which focused on advocating for Tribal colleges and students. Nicole leads oil and gas campaigns and is a lobbyist for Dakota Resource Council in Bismarck, ND. This entry was posted in Tribal Education, Visionary Leadership, Youth Wellness and tagged assimilation, Boarding Schools, Genocide, Last Real Indians, LRInspire, Native American women, Nicole Montclair-Donaghy, poetry, Standing Rock Sioux Tribe by lrinspire. Bookmark the permalink. Have you published this Poem?? I would like to use your poem for NSDA and was wondering if this poem has been published.